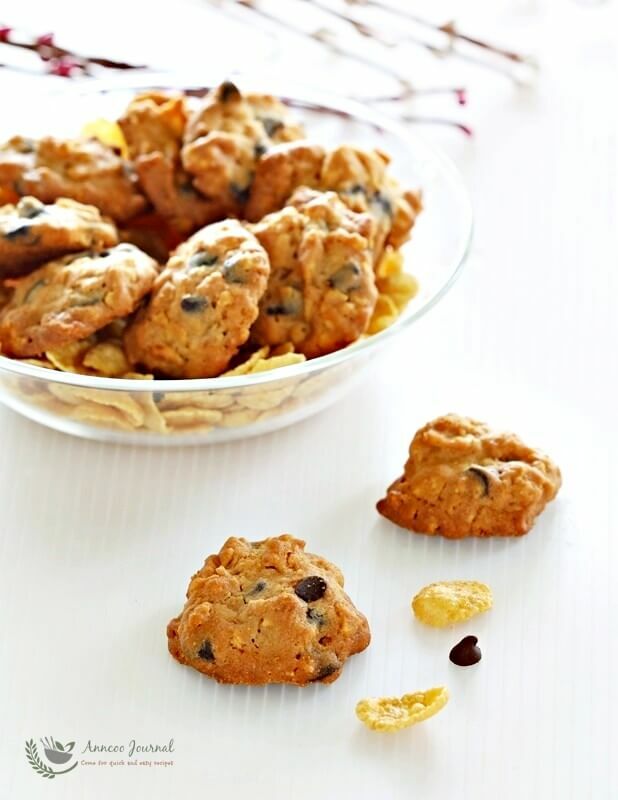 Here is another easy recipe combining cornflakes and chocolate chips together, and is similar with my popular cornflakes cookies that I shared on my blog a few years ago. 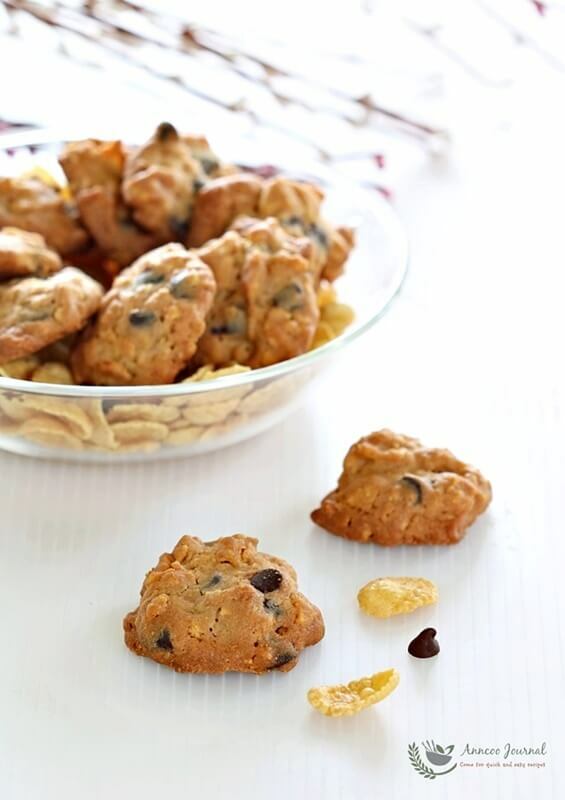 These cornflake chocolate chip cookies are deliciously crunchy and crispy once baked. 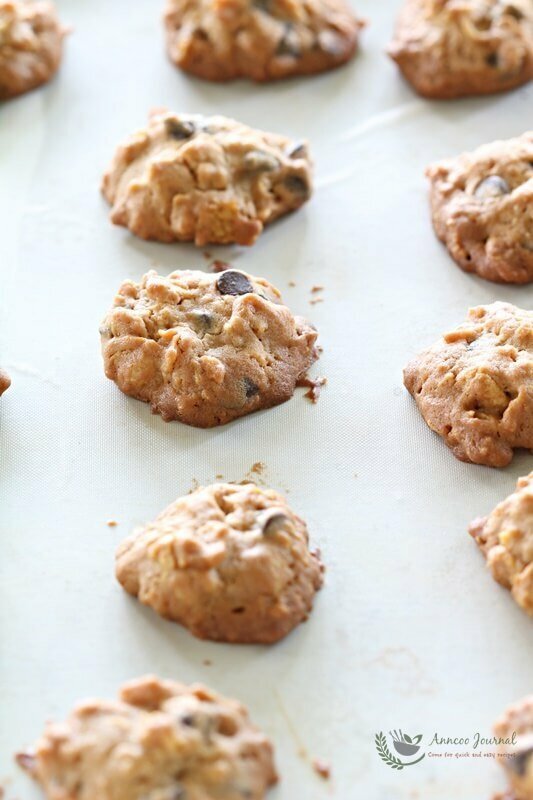 Kids will definitely love these cookies thanks to the sweetness of the chocolate chips. A great idea for the Chinese New Year, which is just around the corner. Beat butter and sugar until pale and creamy. Gradually add beaten egg and vanilla extract and beat until smooth. Sift in flour and baking powder and stir until combined. 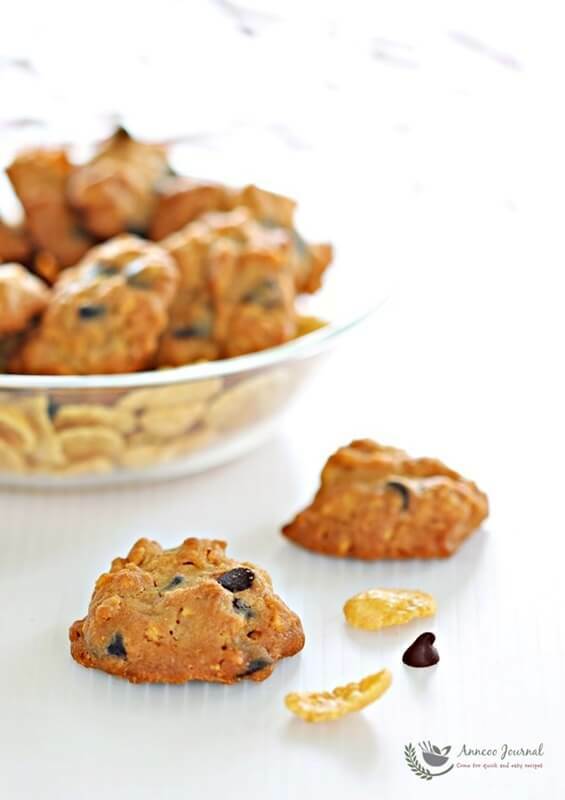 Add the cornflakes and chocolate chips, stir to combine with a rubber spatula. 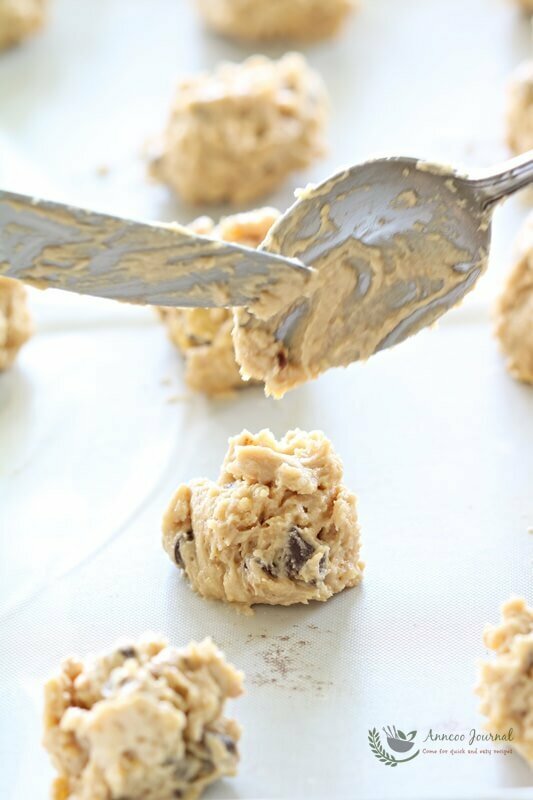 Shape the cookie dough using a dessert spoon then using a butter knife to push the mixture down onto the baking sheet. Bake in preheated oven for about 15 minutes or golden brown. Then cool the cookies completely on wire rack before storing into an airtight container. I just make a batch n it yield like 38 pcs using teaspoon to spoon the mixture onto the tray. May I know how u yield 75? Hi Chew Mi, Sorry that was a typo error. you’re right, it yield about 40 pieces. And i dont hv plain flour.can i use cake flour to replace? Hi Lee, Yes, you can use cake flour and bake in the middle rack of the oven. thank you for your replied.may i know how long i can keep this cookies? It can be stored for 3 weeks if it is properly baked and stored.